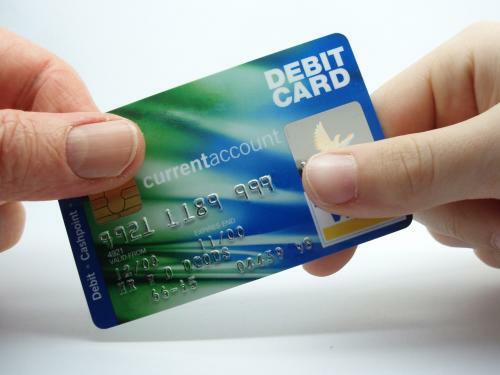 Prepaid debit cards are fast becoming the rage with not only unbanked customers (those without a traditional checking account), but teenagers and college kids, travelers and those wishing to go through life with an added safety in protecting their identity. Trying economic times have forced some toward prepaid cards and been the preferred choice of others when looking down both barrels of fee-heavy checking accounts offered by the super-sized, profit-driven banks. As the advantages of using prepaid debit cards continue to improve, there are also some potential traps that frequent or even not-so-frequent cardholders should be aware of. Booking or checking into a hotel or motel - Since there is a possibility that you might make a phone call, order room service, watch a movie or raid the mini bar, the hotel will place an Authorization Hold on your card in an amount higher than the actual room cost. If you are only making a reservation, confirm how the hotel is charging you to hold the room. Reserving a rental car - Once again, unplanned costs may arise when renting a car. These might include additional mileage, filling an empty gas tank, extra days and even parking tickets. We won't even discuss the complexities of the insurance waiver here. Filling up at a gas station - This has been a very sensitive topic for many as some gas pumps aren't even calibrated corrected for prepaid cards. Another hot button is the fact that even if you pay inside, an Authorization Hold could be put on your card for a large sum, say $100, when you only need $30. That could put a damper in the rest of your day if you only have $100 on your card and need access to that other $70. Your best bet is to just estimate an amount and have the cashier ring it up. Better safe than sorry. And you can always go buy a Snickers bar if you're a little over. The last place you need to watch out for are restaurants - Although typically not a huge amount, gratuities to be added will affect your balance available if a hold is put on the card. Typically, Authorization Holds last as little as a day or two, but can tie up your card for up to a week. Anytime you are doing business with one of the above merchants, it would be smart to make sure you have a large balance on the card and also it won't hurt to ask their policy on Authorization Hold. That way you will be prepared. Tracy Jones is a content contributor for GetDebit.com, a source of prepaid debit card news and information about prepaid products, including the WalMart Visa MoneyCard.